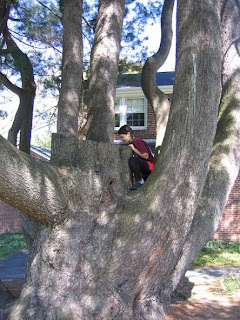 Kid's are naturally drawn to trees, but most adults worry when a kid actually climbs one. There's a danger of slipping, losing grip, falling. Maybe the wear and tear on the bark will hurt the tree. And besides, trees look neater if they're trimmed up. So even trees that once were climbable end up responding to a child's yearning with a haughty stare. One day a few weeks ago, we happened upon an exception, at Princeton University housing off of 206, and my daughter instantly responded to the call of all those wonderful low, welcoming limbs. 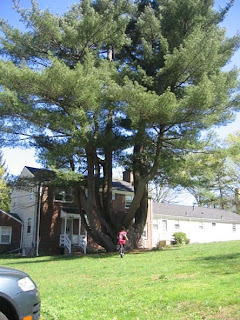 This white pine is like no other I've ever seen, dwarfing the two story house behind it, too big to squeeze into a photo from 100 paces. Its nine trunks rise in parallel, each one big enough to be an impressive tree in its own right. 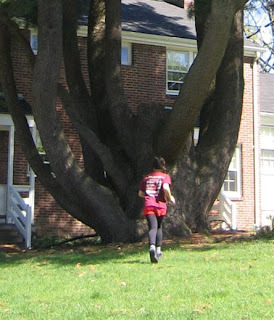 This tree is not so much climbed as entered--so as to find oneself surrounded by a forest of one tree's making. I wondered at how it possibly could have taken its shape. The main stem has long since been cut, leaving what looks like the turret of a castle. Perhaps I give too much credit to think that there was someone--fifty, seventy five years ago--with the vision to let the low lateral branches curve upwards to make a forest of a tree. There was genius here, in this courtyard, whether of intent or serendipity. Arbor Day is being celebrated today. I suspect it dates back to a time when farm fields dominated the landscape and trees were scarce. Now trees are numerous, but I wonder if kids will grow up to be advocates for trees if they can only experience them from a safe distance. There's lots of talk of planting trees, but who is growing and tending the welcoming trees of tomorrow? 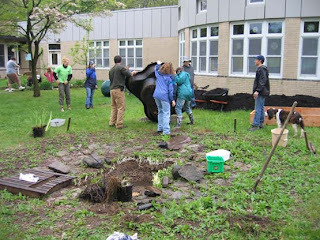 Cool, wet weather did not deter hardy Little Brook volunteers from their appointed grounds yesterday, as the courtyard garden got a working over. Here was one of the photo ops, as the pond lining got pulled out and cleaned. 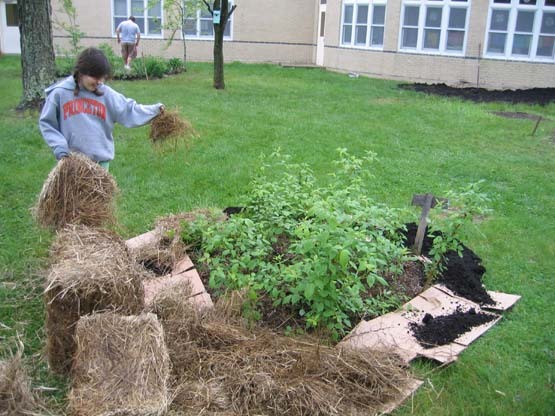 The fearless leader of Little Brook gardening this year is Alexandra Bar-Cohen, on the left in the green t-shirt. Surrounding the pond is a circle of Jerusalem artichokes, which is a deceptive common name for the native sunflower Helianthus tuberosa. The 8 foot high plants produce dazzling flowers and abundant tubers that can be peeled and eaten raw, made into french fries, or maybe even used as a water chestnut substitute in Chinese cooking (haven't tried that yet). 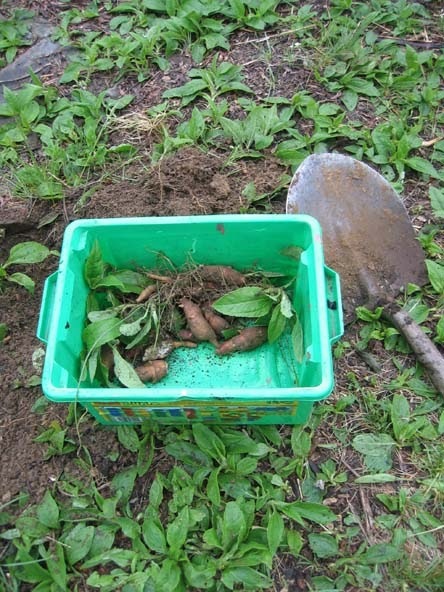 The plants actually benefit from harvesting, which prevents overcrowding of the next year's growth. Meanwhile, out along the nature trail, Little Brook science teacher Martha Kirby and I planted some native wildflowers donated by the Friends of Princeton Open Space. One of the many trees that fell in the winter storm conveniently opened up a wet sunny area where we planted tall meadow rue, wild senna, fringed sedge and a native clematis called Virgin's Bower. 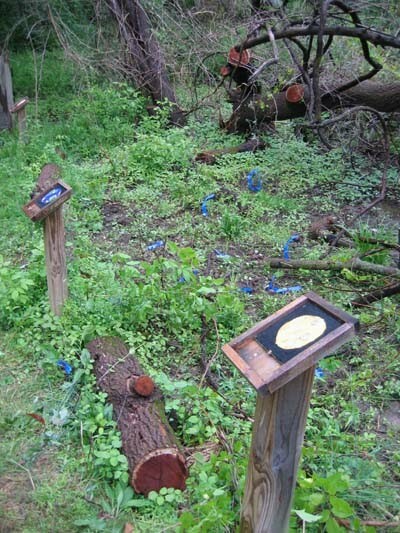 The blue tags are a convenient way to mark and label the new plants. Most of these plants were grown from seed collected along the canal--the goal being to expand the local range of native wildflowers that were previously limited to one or two locations in Princeton. Back in the courtyard, my daughter Anna demonstrated the proper straw-dropping technique. 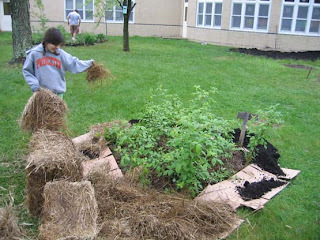 In order to make a better border around the "RazzleDazzle" raspberry patch for the mowing crews to cut around, we layed down cardboard to suppress the grass, then covered it up with straw. It's a great way to slowly shrink your lawn. In the background, the Community Park Elementary science teacher John Emmons tended to an herb garden. I was impressed by this new "garden pal" compost bin, made of pallets, including some fine hinge work for the front door. 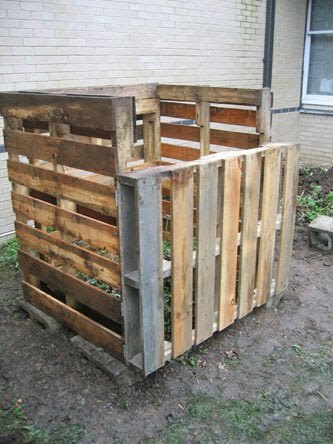 "The compost bin is the first of many the Sustainable Princeton residents working group hope to build at schools and for residents. The pallets were leftover from the school construction and were donated to the SP working group by Valley Road School. The hinges etc...cost around $10 and an instruction booklet was created to show how to build the pallets. The project aptly named Build a Bin will go to Johnson Park Elementary School next!" It looked a bit like a bee, a bit like a fly, hovering over spring flowers while it sipped nectar with its long proboscis. 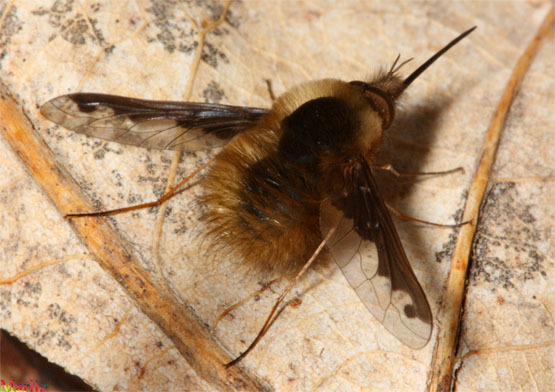 I gave google a list of features--fly hovering long proboscis--searched through the answers offered, and decided I had seen a "bee fly," specifically Bombylius major. 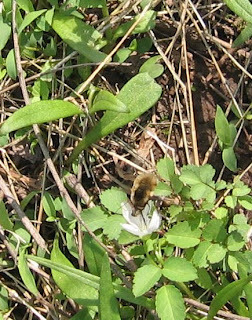 The bee fly was hard to photograph, but can be seen somewhat blurrily hovering over a spring beauty flower in this photo. From Wikipedia: "The large bee fly, Bombylius major, is a bee mimic. The eggs are flicked by the adult female toward the entrance of the underground nests of solitary bees and wasps. After hatching, the larvae find their way into the nests to feed on the grubs." Come hear the Sustainable Jazz Ensemble perform this Saturday, April 24, at the Whole Earth Center, which is celebrating its birthday down Nassau Street from Communiversity. We'll be playing music I composed since moving to Princeton seven years ago, with titles like Greening the Blues, Fresh Paint (composed while breathing latex fumes in a freshly painted room), and Cheery in Theory (which would make a good title for a book on overly aggressive ornamental plants that look great in the garden until they start taking over). Phil Orr's on piano, Jerry D'Anna's on bass, and I'll be playing saxophone. From 2:30 to 3pm, we'll be joined by teenage congueros Ian Mertz and Nick Cosaboom, and my daughter Anna on clarinet, for some latin numbers. After that, from 3-5, the trio will play on its own. The Bent Spoon will be serving samples of its ice cream through the afternoon. The Whole Earth Center is at 360 Nassau St. in Princeton. I've posted the full schedule for the three day festival, which begins this Thursday at 11am and is being called WECstock, at www.princetonprimer.org. Having called the McCarter Theatre a few weeks ago to tell them about this wonderful idea I had for a play on climate change (they were kind, but not given to diving into collaborations with local dreamers), I was surprised and gratified to later discover that a play on climate change has been in the works since last fall and will be performed free of charge this coming Saturday, April 17, at 2pm and 7:30, at McCarter's Berlind Theatre. A more pressing, and generally deprioritized, issue is hard to imagine. I saw a preview performance at D&R Greenway last week, and was impressed with the acting and songwriting. The play is being sponsored by the Princeton Environmental Institute and the Lewis Center for the Arts. Though free, reservations are required, at 258-2787. More info can be found at this link. There's an extraordinary story to tell about the American chestnut. 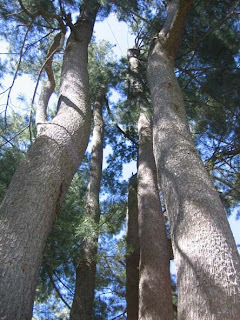 Most of us have never seen one, but they were once a dominant tree in the eastern forest. Next month, Friends of Princeton Open Space will host a talk on the return of the great American Chestnut to the landscape. Sandra Anagnostakis, of the Connecticut Agricultural Experiment Station, will describe her decades-long work to bring the native chestnut back from near extinction. The talk will be at Mountain Lakes House on Thursday, May 6, at 7pm. 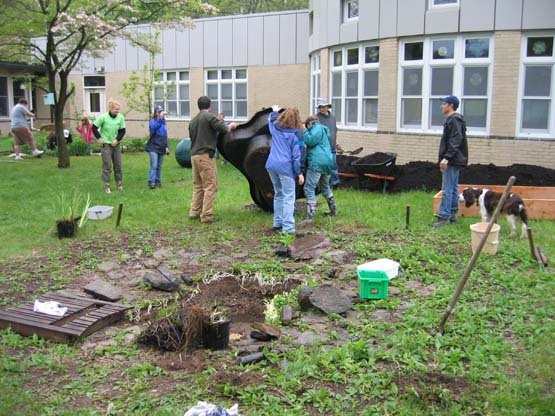 Through a collaborative effort with Bill Sachs, local expert on nut-bearing trees who is spearheading a number of local projects, Sandra will also be bringing twenty native American Chestnut seedlings for planting in local parks and preserves. Once a main constituent of the eastern forest, the American chestnut was nearly wiped out by chestnut blight fungus, which was introduced into the U.S. in the early 1900s via either lumber or chestnut trees imported from Asia. To give a sense of what was lost, here's a passage from Wikipedia: "Mature trees often grew straight and branch-free for 50 feet (sometimes up to one hundred feet), could grow to be 200 feet tall with a trunk diameter of 14 feet at a few feet above ground level. 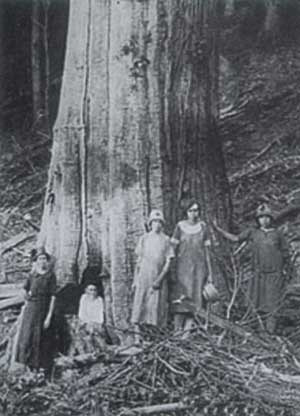 For three centuries most barns and homes east of the Mississippi were made from American Chestnut." The exotic fungus, which kills the above-ground portion of the tree but not the root, caused this most important of eastern American trees to literally "go underground." Surviving roots still send up sprouts, which survive until they reach nut-bearing age, at which point the fungus again intervenes. Though the chestnut was nearly wiped out by 1950, the rot-resistant, fallen trunks of the trees were still a common site when I was working in the Massachusetts woods in the mid-70s. The trees Sandra will be bringing are 15/16th American, 1/16th Japanese. Her experimental work to restore the American chestnut to the Connecticut landscape uses a combination of disease-resistant hybrid seedlings and inoculation of existing native sprouts with the virus that transforms the blight pathogen to a less virulent form. One blight-resistant American chestnut, developed by another breeder, was planted some years ago at D&R Greenway by local arborist Bob Wells. It's worth noting that the devastation caused by the unregulated international trade in plants and lumber, of which chestnuts and elms are two particularly dramatic examples, continues unabated. In Princeton, we will over the next decade likely witness a dieoff approaching the scale of the chestnut and elm dieoffs of the 20th century, as the emerald ash borer, which hitch-hiked to Michigan from Asia in wooden packing crates, continues its spread eastward. There will, in other words, be a lot of gaps in the canopy for the chestnut to claim, if its return is successful. Over spring break, we drove to Durham, NC to drop off a car and see friends. 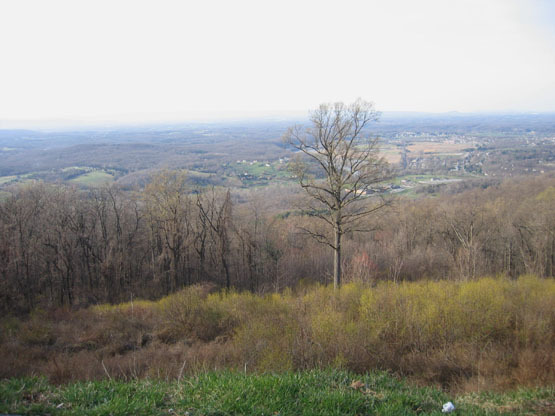 On the way, we traveled through the Shenandoah Valley, to which I was lured by the melody and lyrics of a song. There, I hoped to look out across the valley, to give the kids the experience of climbing a mountain of whatever size, to hike to a waterfall and visit one of the caverns. We arrived at the north end of the national park's Skyline Drive with only two hours of daylight left, and rain predicted for the following day. My teenager, in particular, couldn't have been less interested in a scenic drive along the mountain ridge. As we approached the mountains, the only tenuous thread of interest buried in her impressive stream of protest was a lone tree she had noticed from afar, a tiny speck of distinction standing out on an otherwise evenly wooded mountainside. We headed up the winding road, stopped at the first overlook, and much to our surprise found ourselves looking at the tree, rising from a field of blooming spicebush. We drank in the view, quenching our souls with the valley's immensity. At least, that's how I experienced it. But I did notice a spark of interest beginning to kindle in the next generation. With the sun angling downward, we stopped at Compton Gap to climb a section of the Appalachian Trail to the top of a small mountain. There is nothing like a rockstrewn hillside to turn two unenthused daughters into eager explorers. They beat me to the top, stalked a strange bird--most likely a ruffed grouse--and led me far enough off trail to hear the croak of a raven rising from a chasm. Farther down the road, we stopped again to see the valley in moonlight, and heard the "peent!" of woodcocks resting between mating flights. Though the interpretive signage told of the forest mending from a previous era when settlers cleared farm fields on the hillsides, the woodcocks wouldn't have a stage for their aerial acrobatics if not for the clearings now kept open for the roadside views. The next day, the Skyline was socked in with fog. We toured Luray Caverns, headed south to Monticello, then on to our destination. The waterfalls will have to wait. 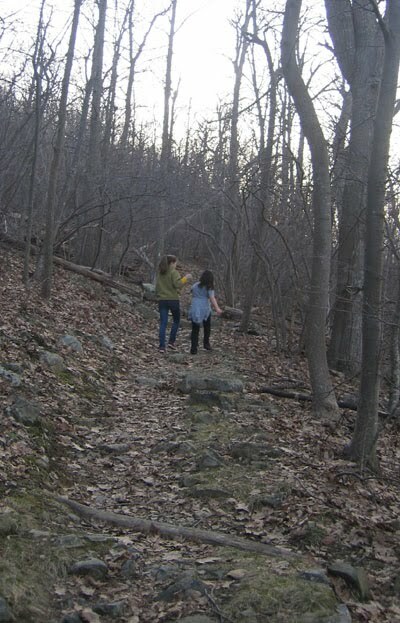 "Oh Shenandoah" means many things to many people. For me, it's two daughters following a path together, and a healing view into infinity. Come to beautiful Mountain Lakes in Princeton on April 18 to learn about preservation efforts in the pinelands at the annual meeting of the Friends of Princeton Open Space (FOPOS). After an update on FOPOS's accomplishments in Princeton over the past year, the executive director of the Pinelands Preservation Alliance, Carleton Montgomery, will give a talk entitled “Saving theNew Jersey Pinelands: Success Against All Odds, or the Road to Ruin that's Paved with Good Intentions?" Following the talk, refreshments will be served, and I will lead a nature walk around Mountain Lakes. Sure to come up are changes wrought by the recent windstorm, and all the work soon to begin to restore the dams and dredge the lakes. The event begins at 3pm. It's free, but please RSVP by April 13--phone 609-921-2772. The Pinelands Preservation Alliance is a private, non-profit organization dedicated to saving New Jersey’s Pine Barrens, a 1.1 million-acre treasure in the midst of the nation’s most densely populated state and the largest surviving open space on the Eastern Seaboard between Maine and Florida. Mountain Lakes House is located at 57 Mountain Ave., Princeton. Carleton Montgomery has been executive director of the Pinelands Preservation Alliance since 1998. An attorney by training, he practiced law at Fried, Frank, Harris, Shriver & Jacobson in its Washington, D.C. office for nearly 12 years, the last four years as a partner in the firm’s litigation practice. Since joining the Alliance, Carleton has worked with his colleagues to strengthen both its advocacy and its education initiatives, with the goal of ensuring the New Jersey Pine Barrens ecosystem will survive, and its regional conservation and sustainable development will succeed, in the nation’s most crowded state. Carleton has a B.A. from Harvard University and an M. Phil. from University College London, both in philosophy, and a J.D. from Harvard Law School. Founded in 1969 to preserve open space in the face of rapid development, Friends of Princeton Open Space (FOPOS) is a non-profit organization that has helped to establish over 1,000 acres of parkland and a network of interconnecting trails that nearly circles Princeton. Through the contributions of hundreds of people in the community, FOPOS has helped to raise $3.6 million for the purchase and acquisition of easements on properties that might have been bulldozed for development. Mountain Lakes, Coventry Farm, the Institute for Advanced Studies Lands, the Woodfield Reservation, and Tusculum are among the properties in Princeton preserved with the assistance of FOPOS. For additional information see: www.fopos.org.